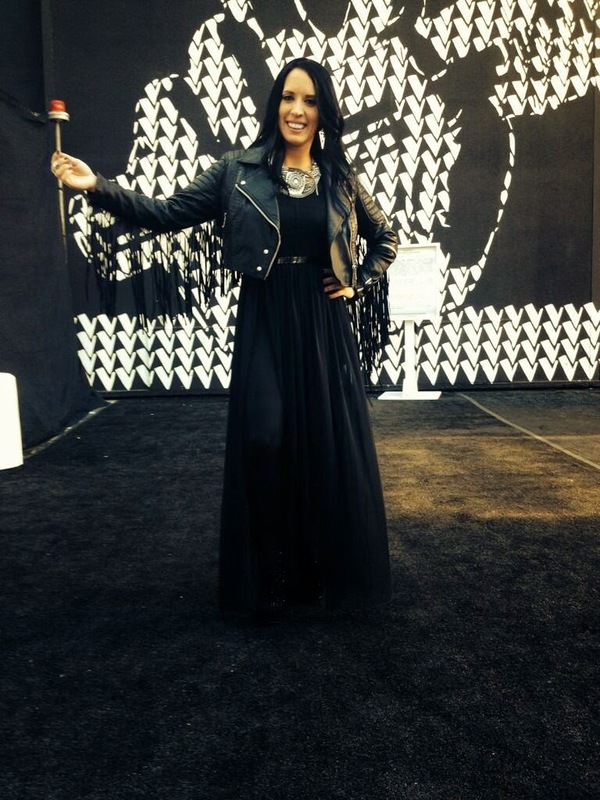 Kat Perkins nails another Fleetwood Mac tune on last nights "The Voice". This time... Fleetwood Mac's beautiful "Landslide" written by Stevie Nicks. She really did a nice job on the song. Kat has such a strong voice. It's hard to cover songs so ingrained in the heart and soul of Fleetwood Mac fans... but I think her interpretation only elevated the song. After the performance Adam Levine made a great point by saying he was happy she introduced the song to people who may not be familiar with the 1970's hit. Take the response on iTunes for instance. Kat's version of "Landslide" is currently the No.1 Rock Song in the U.S., with the original version by Fleetwood Mac at No.3. On the Top 200 Singles Chart the original Fleetwood Mac version of "Landslide" is No.180. You may recall Kat sang "Gold Dust Woman" earlier in the season. Again, she did the song justice. You can check out that performance HERE. She also performed the Kenny Loggins and Stevie Nicks 1978 top 5 hit "Whenever I Call You Friend". It's also available on iTunes. She is only singing all those Stevie songs because she knows Adam loves Stevie. I LOVED Kat's version of this classic song. She's such a solid vocalist. KAT has been singing Fleetwood Mac long before The Voice was ever in existence! She did justice, more than justice to Stevie's song! A stunning, chilling and wonderful performance Kat! Loved the high and sustained note at the end! Amazing! I have been so impressed with Kat's voice and attitude from the beginning of The Voice. She is consistent every week, and doesn't miss no matter what she is singing. You can tell she loves Fleetwood Mac and the entire rock genre! I'm hoping she wins The Voice this year! She deserves it!! Such an incredible vocal performance by Kat Perkins! Very few could do Fleetwood Mac proud...and I think she nailed it! Kat is absolutely amazing and made me tear up with her performance of Landslide! Kat has an amazing voice as well as stage presence. She really is the whole package. She's also a huge sweetheart, knitting scarves for the other contestants. She needs to win this thing! Have you ever seen one of her live shows? She is amazing and actually sings many songs from this genre. Research please before you make comments. I have been a fan of Kat's for years and I must say that she did and amazing job and added some of that attitude that she is so well known for. I have been a fan of Fleetwood Mac since I was a tiny tot listening to my Mom's records and I say that she did this song justice! Proud of you Kat! This girl is one great performer. She has maintained a level of talent that hasn't failed her yet! It is exciting watching and following Kat - she truly is a gifted and amazing artist. But what has been more fun is getting my *kids* familiar with music I grew up with. I downloaded all of Kat's songs, and played them for my 8 and 5 year old, and when we reached the end, I asked them which one they wanted to hear again, and they both said "Gold Dust Woman." Which, by-the-by, we have on a *record* and have played for them in the evenings on our *record player. * It's really cool to be able to play the original for them, and play a new version for them, which Kat just rocked out and did an AWESOME job on! A wonderful representation of a wonderful band!!! The first time I heard Kat sing a Stevie Nicks song I was floored by her tender vocal performance and the heart she put into the song. It was obvious she was a true Fleetwood Mac / Nicks fan. What an amazing treat it would be to someday here Stevie and Kat sing together...that's my dream. She is singing Stevie Nicks songs because they are iconic hits from an artist that Kat loves and identifies with. It just so happens that Adam happens to also know a thing or two about iconic music, and that's what has made Adam and kat a good coach /contestant match. I love listening to Kat sing!!! She is an awesome performer and Kat Perkins is the whole package!!! She did such a great job singing "Landslide"....gave me goosebumps!!! Kat did an outstanding job with all of the songs that she has had to sing. She knows her instrument, and uses flawlessly! I loved Fleetwood Mac and I loved Kat's rendition of Landslide. Landslide is my favorite and wasn't sure about someone else singing it. Kat did an amazing job! As in all of her appearances on The Voice, Kat offered another "flawless" and heartfelt performance of a classic song. Kat's voice provides for the listener such a personal and emotional connection. She fills us with an opportunity to remember. She commands the stage and captivates her audience without screaming at them. A true artist. My kids were great fans of Kat and took me to a couple of her performances when she was near my part of the Minneapolis area and I felt she should be in the "big time". Now I wish her luck and hope she has the chance to move up into bigger public programs. Kat is simply phenomenal. I got chills and tears swelled while she performed this live. Kat is a phenomenal singer and performer. After years of following her career, I'm SO happy she's getting some national recognition on The Voice. Every one of her performances has been totally professional, but also sincere and full of emotion. I love her positive and cheerful attitude, too! I'm a huge fan of her Fleetwood Mac song choices -- her voice suits them so well. Stevie is one of the top female rock stars of all time. Kat is so good that she could fill in for Stevie. How many performers in the whole world could do that? I'm just amazed because talent like that is so rare. I'm a fan. Kat sounded amazing on "Landslide" (which is one of the best songs of all time), and she nails every performance. Kat is a true performer with more class than most. The control she has with her voice is AMAZING!! im a 90s kid and had no single idea about the 70s until i became a fan of michelle branch, who, by the way, loves stevie nicks a lot... i was introduced to her music and became fascinated about the 70s music. i might say, though, kat perkins gave the song justice. Kat's home town is so proud of her and we are all rooting her on!! Kat is a truly amazing and gifted young lady and we can't wait to see what she sings this week. Congrats Kat and keep up the great work you've been doing - you totally nail every song you sing!!! I think that Sept 30th Concert date should have Kat Perkins or Scarlet Haze as an opener or the whole tour would be cool! I've followed Kat for 10 yrs. and she's amazing. She truly owns the stage every performance from a small gig or for thousands. Congrats Kat you've come a long way. Hope you get to meet Stevie some day. I got to meet her and she's sooo sweet! Hate to be negative Nellie, but I just don't think there's much going on with her voice that's very interesting or unique. She's no Stevie Nicks, that's for sure. So many people sing like Kat, but nobody sings like Stevie Nicks.